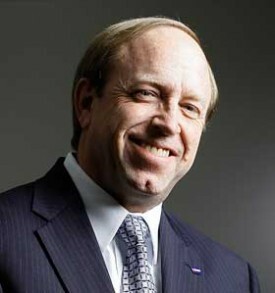 DENVER (Legal Newsline) - Colorado Attorney General John Suthers announced a lawsuit Wednesday against a debt collection company, its director and its affiliates, alleging they engaged in fraudulent practices to try to collect on outstanding debts. United Credit Recovery, Leonard Potillo, the company's principal and director, GTF Services and Standley & Associates allegedly attempted to pass off fraudulent bank documents in an effort to collect on outstanding debts and used deceptive trade practices that harmed consumers. "UCR faked bank officer signatures on documents to orchestrate a debt-for-sale scheme from which they handsomely profited," Suthers said. "The scheme involved thousands of individual accounts totaling tens of millions of dollars." UCR bought consumer debt from US Bank and Wells Fargo and allegedly used account information provided by the banks to create hundreds of thousands of fake affidavits. The affidavits allegedly purported to describe and verify debt owed by the consumers. UCR allegedly used the fake affidavits to collect on the debt and to resell the debt to third-party debt collectors. UCR also allegedly sold accounts of Colorado consumers to other agencies and distributed the fake affidavits to the agencies. GTF, one debt collection agency, allegedly used the affidavits through debt-collection law firm Standley & Associates to file more than 300 debt collection lawsuits against Colorado consumers. The lawsuit requests the court fully compensate or restore the accounts of all consumers allegedly harmed by the defendants.